Indiana Poker – Is Online Poker Legal in Indiana? To put it simply – Indiana is hit or miss for poker players. And much of that is thanks to the wording in their gambling statutes. It doesn’t matter if the game is of skill or chance (which is still heavily debated anyway) – if it’s not approved or regulated by the state you can face consequences for playing that range from a misdemeanor to a felony. So, even though poker players DO have options in Indiana… you’ll want to read this page before you play anything to ensure your game or venue of choice won’t land you in hot water. 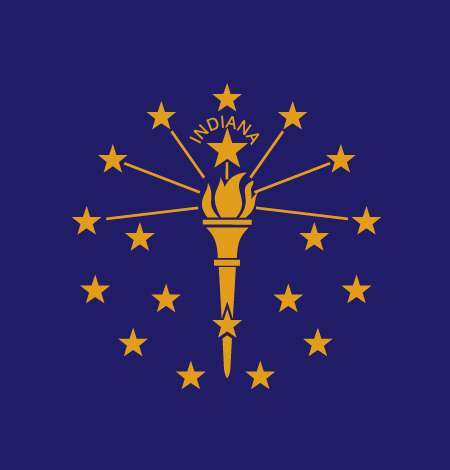 Legality of Home Poker Games in Indiana? Most of the USA have statutes that cover – and usually allow – home or social poker games. So your default assumption should be that it’s illegal – that home poker games fall under the statute I mentioned above. Chances are you could get away with hosting and/or playing a home poker game, but you’re taking a chance nonetheless. If you want to stay on the up-and-up, I suggest you talk to a lawyer or your local authorities. Indiana is one of the few states that actually have laws that declare online gambling illegal. commits professional gambling, a Class D felony. However, the offense is a Class C felony if the person has a prior unrelated conviction under this subsection. What’s interesting here is this applies to everyone – operators, players… and… even backers. That’s right – if you give someone (in Indiana) money to gamble with, you can get into trouble. Now this doesn’t mean you can’t play online poker. Just that it’s illegal. There are still at least a handful of poker sites, casinos and sportsbooks that will take your action. Just understand that they’re offshore sites, therefore they’re operating illegally in your state. The only option – a legal option – that poker players have is to play poker in a licensed and regulated casino (or charitable event). That’s a drop in the bucket. Do a Google search and you’ll find several more. You’ll have plenty of gaming options – poker tournaments, slots, e-table games, horse racing and so on. And if you can’t visit the casino you might try a poker league. This is a workaround for real money games. You don’t have to pay to play (because that’s illegal), but you can still win cash or other prizes if you finish the game/season with enough points. Experts suggest Indiana will legalize online poker in 2017-2018. It’s not anything that’s definite, but most imagine that if states like California and Pennsylvania can seal the deal on some iGaming pacts there could be a future for online poker in Indiana. And I might be able to agree with that. After all, Colorado has laws in place (against online poker) and we suspect they’ll change those for the better within the next couple of years. What makes me even more hopeful is that about a year ago, two Indianapolis attorneys proposed the idea of allowing real money mobile gambling in the city’s airport. The idea would be to allow low stakes gambling with the revenue going towards building a new football stadium. This is illegal under current state law. However, the proposal piqued the interest of tribes and legislators. So while they might not be twerking at the thought of legalizing online gambling, if they can just get the ball rolling – no matter how small – it’s possible we see the state branch out to internet gambling for the masses sooner rather than later.